Federal Theft Defense Attorney - Oberheiden, P.C. Are you under investigation? Were you recently arrested? Are friends, family members or people that you care about accused of a federal theft offense? Is the government accusing you of being part of a federal theft conspiracy? Is it time to get a lawyer? If so, this is what you need to know. The government has dramatically increased the number of federal prosecutions. Almost no day passes without new arrests and new accusations. With penalties ranging from criminal fines to years in prison, it is critical to be represented by experienced attorneys. Oberheiden, P.C. can help you. Many of our attorneys are former federal prosecutors and know first-hand how the government builds a case and what to do against it. As prosecutors we have seen how inexperienced attorneys can jeopardize a case or worsen an investigation. When everything is on the line, when your entire future is at stake, you simply can’t afford to experiment. After all, you won’t get a second chance! Our attorneys have handled hundreds of federal investigations and we are known for our forceful federal trial practice. If you have a situation, you should contact us immediately for a free and 100% confidential consultation. The United States has two levels of criminal law enforcement: state law and federal law. While the majority of theft cases are prosecuted at the state level (e.g. by local police), there is a special brand of theft crime that is separate and distinct from the typical state level case, and which is prosecuted at the federal level. Federal theft crimes are investigated by federal law enforcement agencies such as the Federal Bureau of Investigation (FBI), the Department of Homeland Security (DHS), the Drug Enforcement Administration (DEA), and the Department of Defense (DOD) to name just a few. The decision to prosecute a federal theft offense lies with the Department of Justice as well as local U.S. Attorney’s Offices. In order for a charge of theft to be a federal crime, the stolen goods must have been involved in interstate transportation at some point during the crime’s commission. The requirement that the stolen goods travel through interstate commerce (i.e. between two different states) is a jurisdictional one, meaning that if the stolen goods did not travel through interstate commerce, no federal crime could have occurred. However, state theft charges could still apply. Modern technology and modern communication have increased the federal nature of theft offenses. For example, selling a stolen item through the internet or via email or text communication within the same state can constitute a federal crime because the internet and e-mail communications are deemed national (and therefore federal) even if all participants reside in the same U.S. state. Receipt, Possession or Sale of Stolen Property [18 U.S.C. § 2315]: A person may be guilty of “receipt, possession or sale of stolen property” if that person receives, conceals, sells or disposes of property valued over $5000 that had crossed state boundaries since being stolen, and that person knew the property was stolen at the time of receipt. The term “stolen” is broadly defined and includes any dishonest taking of another’s property with the intent to permanently or temporarily deprive the owner of the rights and benefits of ownership. The “value” of property is calculated based on the property’s face, par or market value – whichever is highest – at any time during the commission of the crime. Although a person must have actual knowledge that the property was stolen to be guilty of receipt, possession or sale of stolen property, the person need not know that the property had crossed state lines since being stolen in order to be guilty of a federal crime. Interstate Transportation of Stolen Property [18 U.S.C. § 2314]: A person may be guilty of “interstate transportation of stolen property” if that person transports, or causes to be transported, across state lines, property valued over $5000 that the person knew to be stolen at the time of transportation. The “value” of property is calculated based on the property’s face, par or market value – whichever is highest – at any time during the commission of the crime. As long as the person made arrangements that would reasonably lead to the interstate transit of the property, the person need not have actual knowledge as to whether the property was in fact transported over state lines. However, the property must actually cross state lines for this crime to occur. Receipt of a Stolen Motor Vehicle [18 U.S.C. § 2313]: A person may be guilty of “receipt of a stolen motor vehicle” if that person receives a stolen vehicle that has crossed state boundaries since being stolen and that person knew the vehicle was stolen at the time of receipt. 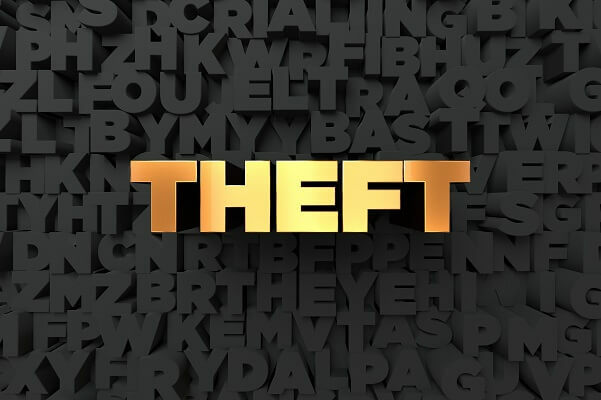 The term “stolen” is broadly defined and includes any dishonest taking of another’s motor vehicle with the intent to permanently or temporarily deprive the owner of the rights and benefits of ownership. Although a person must have actual knowledge that the motor vehicle was stolen to be guilty of receipt of a stolen motor vehicle, the person need not know that the motor vehicle had crossed state lines since being stolen. Interstate Transportation of a Stolen Motor Vehicle [18 U.S.C. § 2312]: A person commits the crime of “interstate transportation of a stolen motor vehicle” by transporting a vehicle through interstate commerce with knowledge that the vehicle was stolen. “Interstate commerce” includes any commerce or travel between two or more states, territories, or possessions of the United States. Federal prosecutors often pursue charges for crimes involving theft in conjunction with charges of conspiracy. A conspiracy occurs when two more actors agree to jointly participate in criminal activity. In the case of federal theft crimes, an example of conspiracy would be if one party agreed to steal a car while a second party agreed to transport the car to another state for the purpose of avoiding detection by law enforcement officials in the state where the car was stolen. Conspiracy [18 U.S.C. § 371]: A person commits conspiracy when that person willfully agrees with one or more other people to engage in criminal activity and at least one of the individuals involved takes an overt act in furtherance of the conspiracy. A person must be aware of the unlawful scheme in order to partake in the conspiracy, meaning that incidentally furthering some aspect of a criminal conspiracy does not make someone a co-conspirator. However, one does not need to know all elements of the conspiracy or all participants in the conspiracy in order to be criminally liable for the conspiracy. Additionally, individuals involved in a common criminal scheme do not need to have a formal agreement for them to be considered co-conspirators under the law. The law considers all co-conspirators in a criminal scheme agents of one another, meaning that any co-conspirator is criminally liable for all actions taken by all other co-conspirators. These principles of agency apply regardless of how large or small a part any particular co-conspirator plays in the conspiracy. Thus, participants with a very minor role in a conspiracy may face very serious criminal penalties based on actions taken by other co-conspirators who played a much larger role in the conspiracy. A federal felony conviction can change your life. The risk of imprisonment and stiff fines should prompt targets of investigations to let lawyers handle your defense that have the experience in federal criminal cases. Individuals convicted of federal crimes of theft face severe penalties, including criminal fines and incarceration in federal prison. Receipt, Possession or Sale of Stolen Property: Punishment for receipt, possession or sale of stolen property includes criminal fines and up to ten years incarceration in federal prison. Interstate Transportation of Stolen Property: Punishment for interstate transportation of stolen property includes criminal fines and up to ten years incarceration in federal prison. Receipt of a Stolen Motor Vehicle: Punishment for receipt of a stolen motor vehicle includes criminal fines and up to ten years incarceration in federal prison. Interstate Transportation of a Stolen Motor Vehicle: Punishment for interstate transportation of a stolen motor vehicle includes criminal fines and up to ten years incarceration in federal prison. Conspiracy: If the object of the conspiracy is a felony, the punishment is up to five years in prison and/or criminal fines. If the object of the conspiracy is a misdemeanor, the punishment for participating in the conspiracy is limited to the maximum punishment for the underlying crime. Individuals found guilty of conspiracy often face additional penalties for any crimes committed as a result of the conspiracy. Don’t take a federal investigation lightly. If you are accused of theft or someone you were affiliated with is under investigation, you should speak to one of Oberheiden, P.C.’s former prosecutors today. Our attorneys can help you find the right strategy to avoid, mitigate, or dismiss a federal charge against you. All you need to do is to call Oberheiden, P.C. to start your defense today. All consultations are free and confidential. Call us today. Not every criminal lawyer is a federal criminal defense lawyer. Just like you would seek a cardiologist and not a dentist when suffering a heart attack, you should team up with a federal criminal defense lawyer when you are accused of a federal offense. With penalties that include felony convictions and imprisonment, you have no business wasting time. The former federal prosecutors and federal defense attorneys at Oberheiden, P.C. are just one phone call away. Federal Lawyers. Federal court is significantly different from state court. Not only are the laws different, the judicial practices and procedures vary greatly from those in state court. The best state DUI attorney may have little experience negotiation federal theft charges with well-trained federal agents and U.S. government attorneys. If you find yourself facing federal theft charges, you need an attorney who knows what to do in federal court. Consider hiring former federal prosecutors that know the federal criminal justice system from the inside out and that are highly capable protecting your freedom and your reputation. How many federal theft and fraud cases have you handled so far? What is your success rate in federal theft and fraud cases? What Are the Most Important Defense Strategies in Federal Theft Cases? The handling of more than 1,000 federal proceedings have taught us one main lesson: the sooner an experienced attorney is involved and is able to actively intervene against a government investigation, the higher the chances that a federal case can be stopped, dismissed, or mitigated to a point where the client preserves his or her uninterrupted freedom. Early Intervention. The sooner and earlier a client retains qualified legal counsel, the more likely that client is going to defeat or avoid criminal charges resulting from a federal investigation. The reason is simple: instead of waiting for charges against you, your lawyer will do everything to avoid charges while the window of opportunity exists. An experienced defense attorney will counsel you throughout the criminal investigation in a manner that will help mitigate your exposure to criminal penalties. Your lawyer will address any concerns you may have about the investigation and charges against you, such as what prompted the investigation or what agencies are involved; what is the objective of the investigation; what evidence, if any, does the government have; and, what is the likely outcome of my case? Lack of Intent. In order to convict a defendant of federal theft crimes, the government must prove that the defendant intended to commit theft. In many cases, especially cases involving allegations of conspiracy, we have successfully demonstrated that our clients lacked the requisite intent to commit the crimes charged against them. If the government cannot prove intent beyond a reasonable doubt, their case fails and the defendant prevails. Applicable Defenses. Many federal crimes have affirmative defenses, which, if proven, negate a defendant’s liability for a crime, even if all other elements of the crime are proven. At Oberheiden, P.C., we rely on our vast knowledge of criminal law and procedure, as well as our extensive experience in criminal trials and investigations, to explore every available affirmative defense that may help absolve our clients of criminal liability. Oberheiden, P.C. offers clients a wealth of experience, a proven track record, and a stellar reputation. We have successfully assisted clients under investigation by all major agencies including the Department of Justice, the Federal Bureau of Investigation, the Office of Inspector General, the Internal Revenue Service, and many other law enforcement agencies. We are available every day of the year, including weekends, to answer your questions. All consultations are free and confidential. Call today to schedule your appointment.